New Volunteer Orientation | Who's ready to join the team? Key City Theatre is hosting the first New Volunteer Orientation of the exciting 2018-19 season, Monday October 1 at 2:00 PM in the Key City Theatre lobby. We will share the ins and outs of being part of this amazing team of hard working, fun loving volunteers. October Customer Appreciation Day at Sprout | Save 10-30% off everything in store! 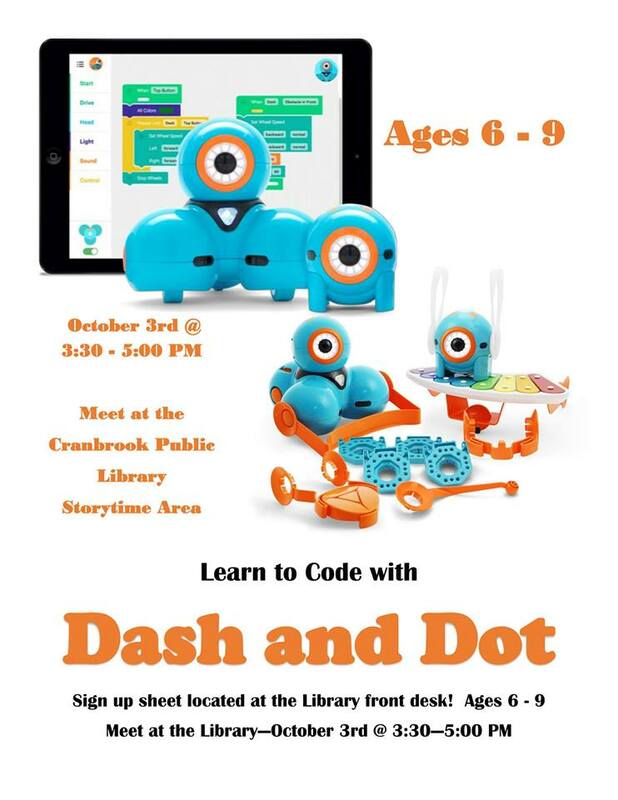 Coding with Dash and Dot | Kids Ages 6-9 can come and learn how easy it is to code with our robot friend Dash. 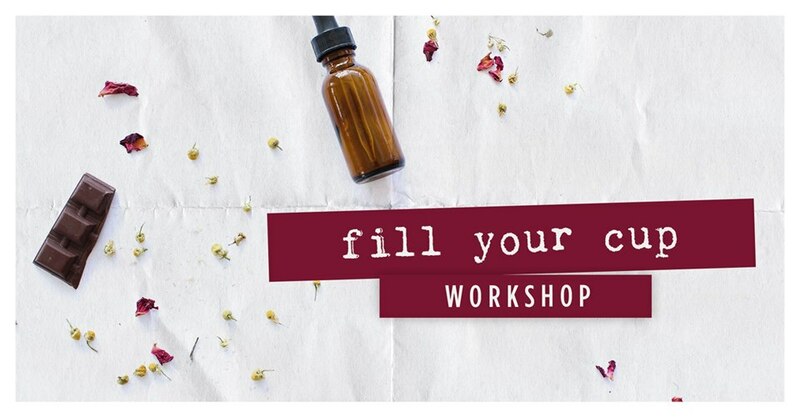 Introduce Kelsey + Workshop // Stepping Into Mindfulness Exercise // Attendees will be guided through a mindfulness exercise to awaken the senses + tap into feelings/sensations around the ritual of eating. 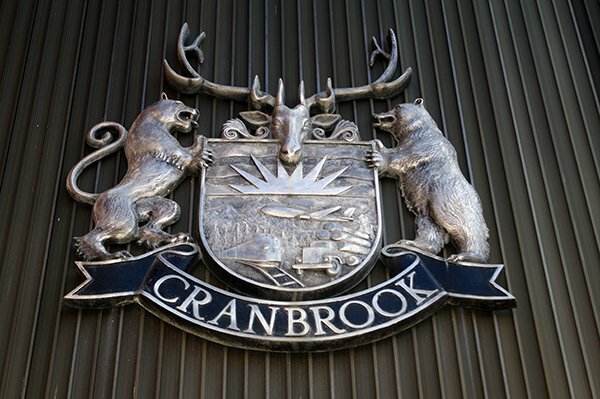 2018 Cranbrook Municipal Election Forum | Proudly hosted by JCI Kootenay, the All-Candidates Forum is an opportunity for all residents of Cranbrook to engage in and discuss important political issues that are concerning to our community. The candidates will be asked a series of questions submitted anonymously by the audience prior to the event. The event will be moderated by College of the Rockies president David Walls. A Taste of Thanksgiving at Fort Steele Heritage Town! | Join us on Sunday, October 7, 2018 for our annual Thanksgiving celebration! ~JOIN US FOR THE DAY~ We will be holding our annual "Taste of Thanksgiving" in the Lambi House from 11am-3pm, where you can sample a variety of delicious Thanksgiving treats - including traditional pit-roasted potatoes! ~JOIN US FOR DINNER~ For dinner we're serving a traditional, homemade Thanksgiving dinner buffet style with all the fixings in the International Hotel Restaurant! **Reservations are required for dinner. Please call to reserve at 250-417-6000. This event sells out every year, so book soon! Bring your family out and enjoy the festivities! EH? !HI54LOFI September 17, 2017 THE WEEKLY EH? !